The goal of this $125,000 project was to update classroom for 21st-century learning. 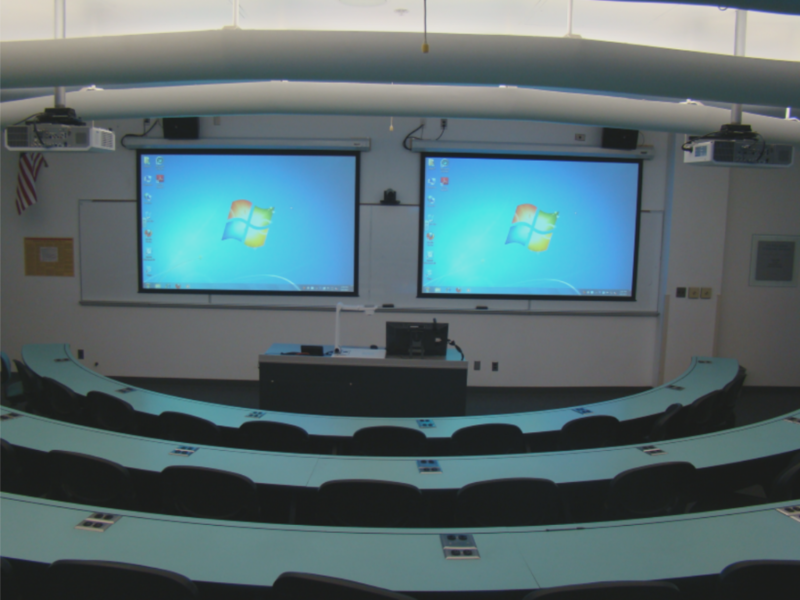 Update projectors, screen, and add audio reinforcement for the class to hear the instructor. The room also required distance learning capabilities to connect multiple sites for online classes and instruction. 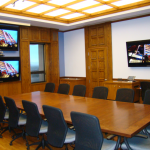 CCS installed a Tandberg MXP 6000 hi-definition video conferencing system to meet their distance learning needs. Sonicfoundry’s Mediasite RL recorder captures lecture classes and streams at the same time. 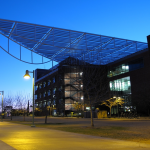 Lectures are also archived for On Demand presentation so students can learn at any time day or night. 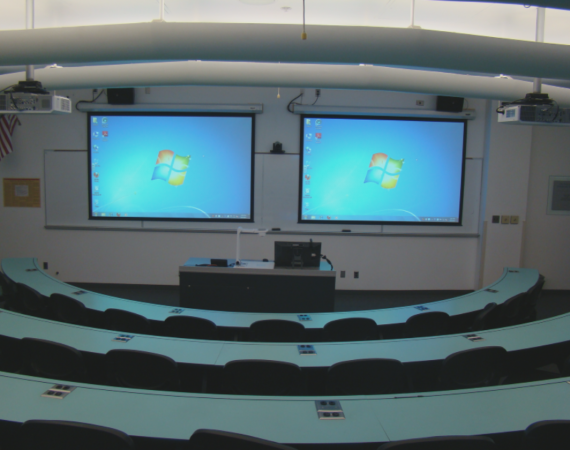 Two Hitachi CPWX4025n projectors and 2 Da-lite screens were put in for students to view presenter’s material. Two 55’’ Samsung LED monitors were mounted on the back wall so the instructor can see near and far side presentations. The most unique part of the room is the Vaddio Auto Trak camera system that allows for the presenter to wear a lanyard and have the camera – via infrared signal – follow the presenter as he or she walks around the room. 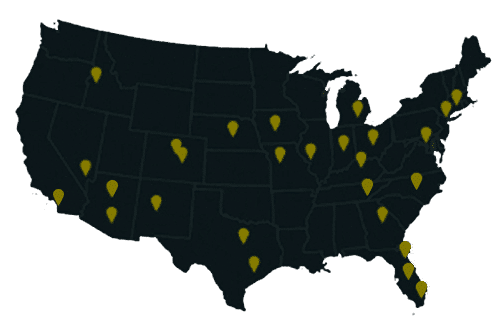 Controlling the entire system is an AMX touch panel that allows the presenter to send any signal (pc, video, video conferencing) to any screen in the room.